GRAPHIC FINE ART BY GARY ALFORD AND WU POSTER COMING SOON! Finest hip hop poster and artwork by Gary Alford. Gary Alford is a self-taught artist who was born in 1981 and grew up in a South East London borough. Gary has been drawing for as long as he can remember, what was a passionate hobby became a valuable tool for documenting his environment and paying tribute to his other interests by portraying them on paper. Drawing became a way of trying to make sense of the negativity he saw around him or more often than not; to try and escape from it. Gary became interested in Hip-Hop music in the early ' 90s through such groups as The Lost Boyz, Smif 'N' Wessun, Naughty by Nature, Smooth da Hustler, Originoo Gunn Clappaz and Goodie MOb, but there was one group that caught Garys imagination more than any other; Wu-Tang. "I was the only person I knew of who was into Hip-Hop so it was incredibly personal to me. Especially the music of Wu-Tang. Nothing in my eyes could compare to the strength and artistry of albums such as 'Only Built For Cuban Linx', 'Tical' and 'Ironman'. I would draw the Wu symbol on pretty much everything I could. I would never have believed that I would one day be standing in a bar in London with Method Man, RZA and Raekwon as they flick through my artwork or be sitting backstage with Inspectah Deck discussing work." Over a decade later Gary passed his artwork to Inspectah Decks' then manager at a Wu -Tang gig in London. From there Gary worked on Projects with Deck, resulting in his artwork featuring on the cover of Decks' 'Resident Patient.' He has gone on to do artwork for and receive interest from Masta Killa, Timbo King, 9th Prince, Killa Sin, Dreddy Kruger, Berretta 9, William Cooper, Bronze Nazareth and Prodigal Sunn, as well as doing art for the Babygrande Records label. 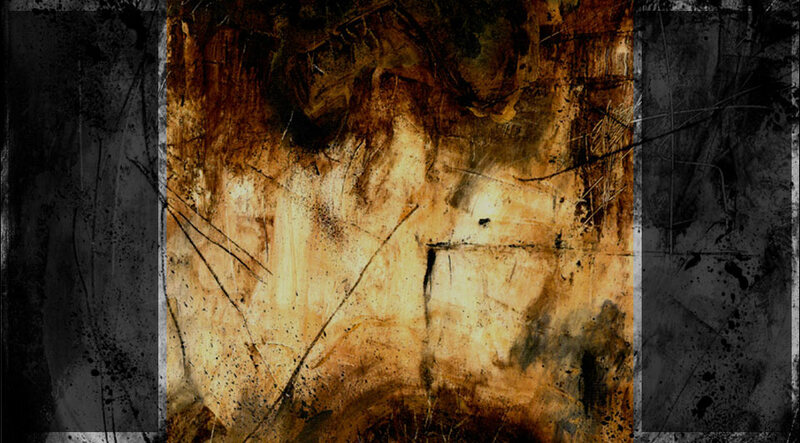 Gary works in a range of materials including watercolour, pencils, spraypaint, pen+ink, acrylic and oil paints but never uses digital media which is refreshing in a market saturated with images created or touched-up on a computer. "It is hard work getting artwork out there and noticed," says Gary, "When other people go home from a day job and chill out in an evening I am up untill the small hours of the morning working away, but if artwork never gets me anywhere I will still be doing it, keeping up a constant work rate. I have to. There is nothing more satisfying than finishing a piece and feeling you have achieved something." Gary is currently working with Wu-Tang Clan's RZA on the cover of the upcoming Bobby Digital Album which has been scheduled for release this summer. Click on the cover to see a larger version. The work is at a very early stage right now but we keep you posted. There's also a little feature about Gary in the April 2008 issue of UK Hip-Hop Connection Magazine. 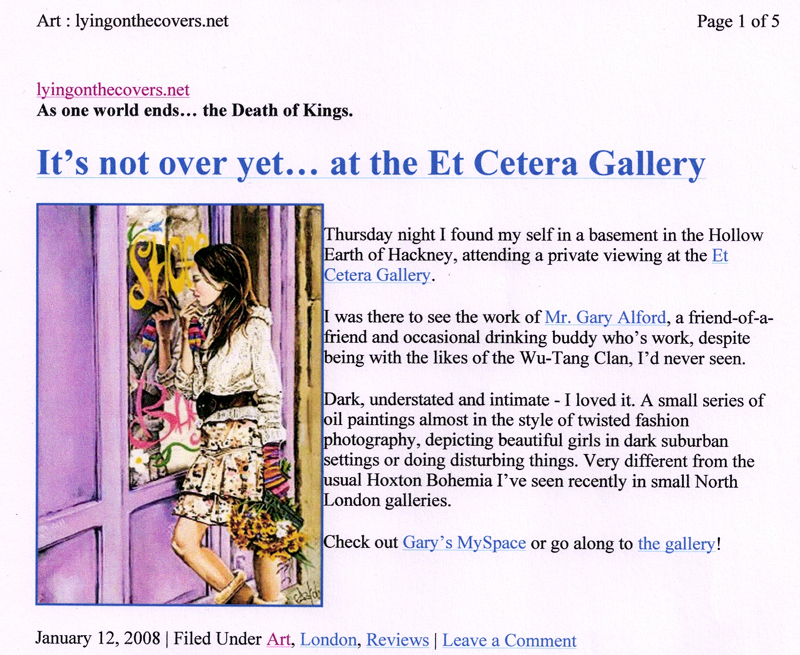 Click on the right picture to find a short review of Gary's exhibition this January in London. 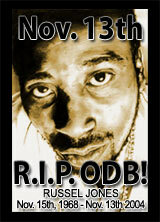 Watch out for our ODB specials in November! 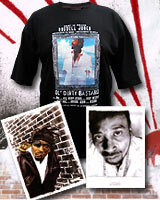 Get your ODB memorial posters and t-shirts now! Personal portraiture and artwork by Gary Alford is also available. 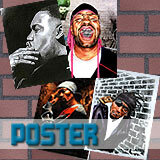 Contact Gary at: gary@wuposter.com and order what you would like to be done.